"eins" is a theme for the desktop environment agnostic omni launcher albert. Included in the download are 32 slight variations of the theme. - the variations with system scrollbar and with theme scrollbar share the same names; therefore they will overwrite each other. I opted for that, because you very soon will know what you prefer and I refrained from constructing even more monstrous filenames. 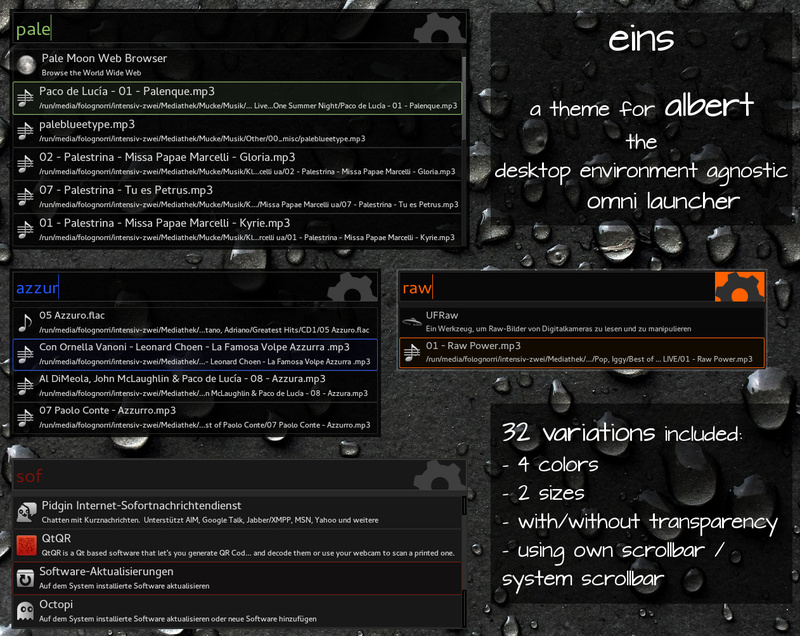 Thanks to Manuel Schneid3r for this great piece of software.